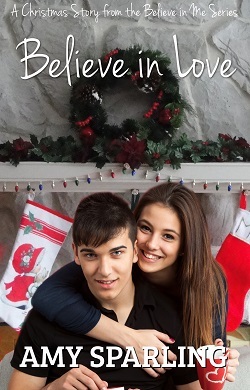 Official website of author Amy Sparling: Believe in Love is here! Believe in Love is here! I'm very excited to offer a FREE Christmas novella this year! Believe in Love is part 4 of Jett's series. It's currently free on all eBook outlets except for Amazon, (at the time of this post) but I'm working on Amazon and hopefully they'll make it free soon! Or download the Free PDF here.